Greenlee 1-Piece Hole cutter features multiple tungsten carbide tips for optimum cutting performance and durability. 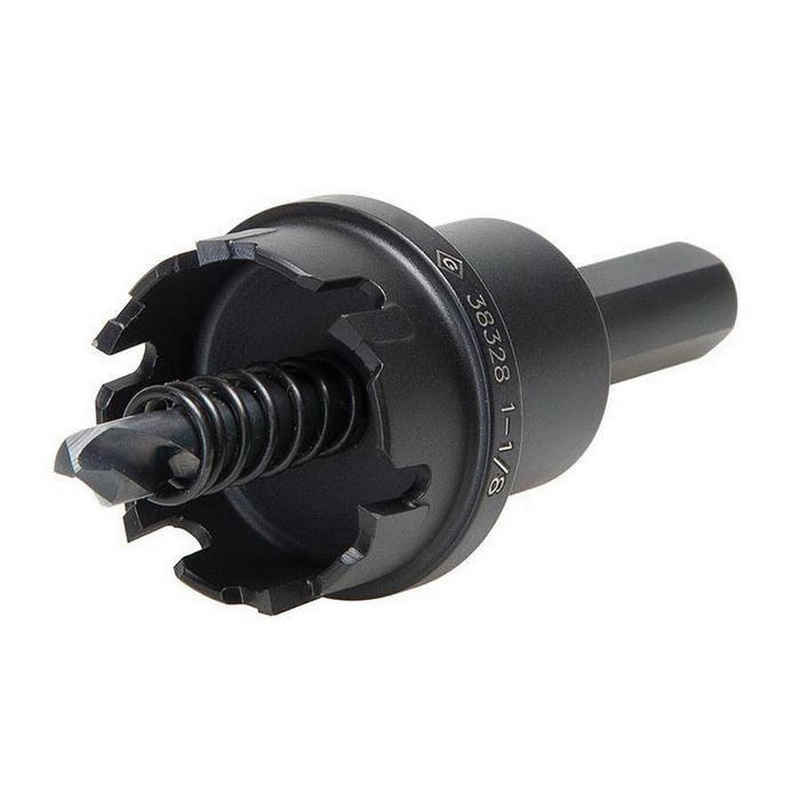 Hole cutter features flange stop for preventing over drilling and replaceable cobalt steel pilot drill with split point tip to resist walking. This 1-1/8-Inch Dia hole cutter supports cutting on aluminum at 450 RPM, brass at 400 RPM, cast iron at 200 RPM and mild steel at 300 RPM.